Facebook news feeds are like the crawl on CNN. You’ve seen the scrolling words on your TV screen. Item after item after item that are “nice to knows” until there is breaking news. Then, we get a big “BREAKING NEWS” in red that hooks us in. The job of real estate salesperson on Facebook is to participate in the mundane while figuring out a way to break through. What’s the big red “BREAKING NEWS” items in your network’s world that will impact you? This “big news” often includes major lifestyle announcements like getting a new job, announcing a pregnancy, getting engaged/married/divorced and even retiring. These lifestyle announcements occasionally have a direct correlation to housing needs but are sometimes overlooked by real estate professionals. After connecting with a current or prospective client on a social network like Facebook, it is imperative to stay in touch. By engaging them continuously, you will nurture your relationship on a personal level and have an easier time opening the door of opportunity when the time is appropriate. This doesn’t mean you need to like, comment or share every status they put up, but every so often is the right way to go. It is amazing how powerful that little “like” button can be. 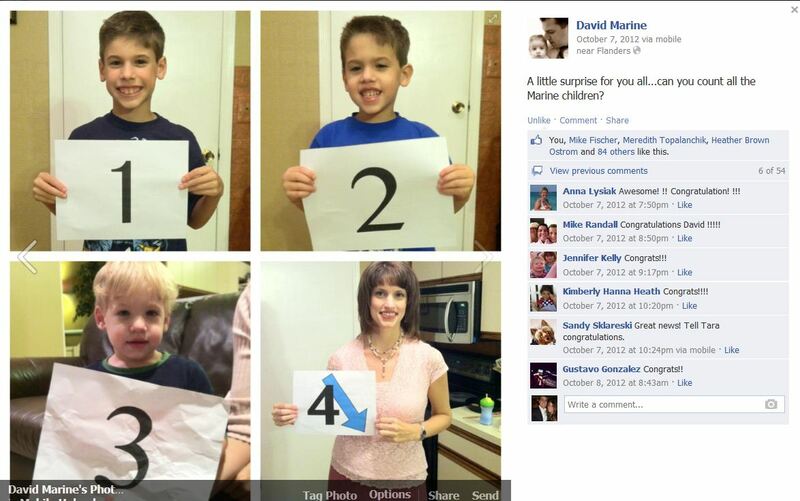 Have you ever posted something clever, cute, interesting or funny and received a big goose egg for engagement on it? It feels similar to when you throw up a hand to high-five someone and they leave you hanging, right? So go ahead and spread some social love. I promise your efforts will not go unnoticed. By engaging continuously, you avoid becoming a creepy telemarketer when a true lead opportunity actually comes along. Set up a social media siren inside your brain to trigger action when you recognize lifestyle keywords and phrases that should excite any real estate agent. Once your siren goes off, activate! Go beyond a “like” and comment. Congratulate them, empathize, cheer, whatever the appropriate response is. Basically just let them know you care and are listening. Now, remove your hands from your keyboard because the following last step is the most crucial of all. Social media is an amazing and powerful supplement to all you do as a real estate professional. However, there is no magic “REAL ESTATE DEAL MAKER” button on Facebook. 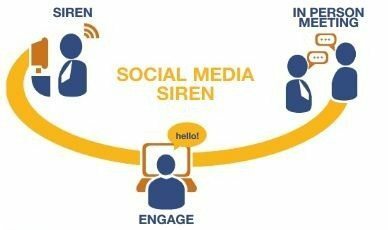 After your social media siren sounds and you engage, determine how you can now take the conversation OFFLINE. Make it personal. Comment: Congrats, that’s awesome. Five men? Tara, that’s a basketball team! Continuing the social relationship, BUT FIGURE OUT WAY TO MEET TARA. Four kids might equal new house. Meet her and get the business! Talking about Tara’s plans for the future over a Facebook conversation might be strange for both sides. By making it personal, you have put the social in social media. When you hear successful agents crowing about how well they do on Facebook, THIS is what they are talking about.